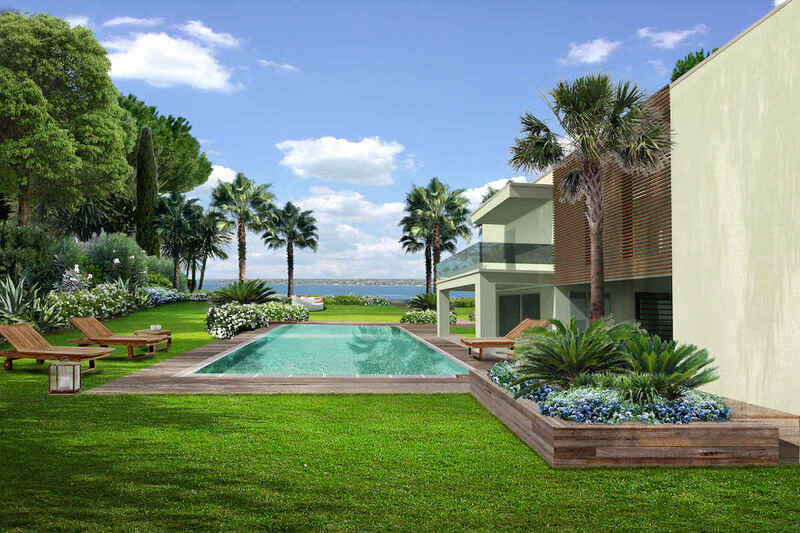 Approved project for building a stunning waterfront villa Lake Garda in Sirmione, to be constructed on an existing villa to be demolished. The project for this lakefront villa in Energy Efficiency Rating ‘A’ is going to be developed on an extremely rare waterfront land plot of 1,300 sqm. 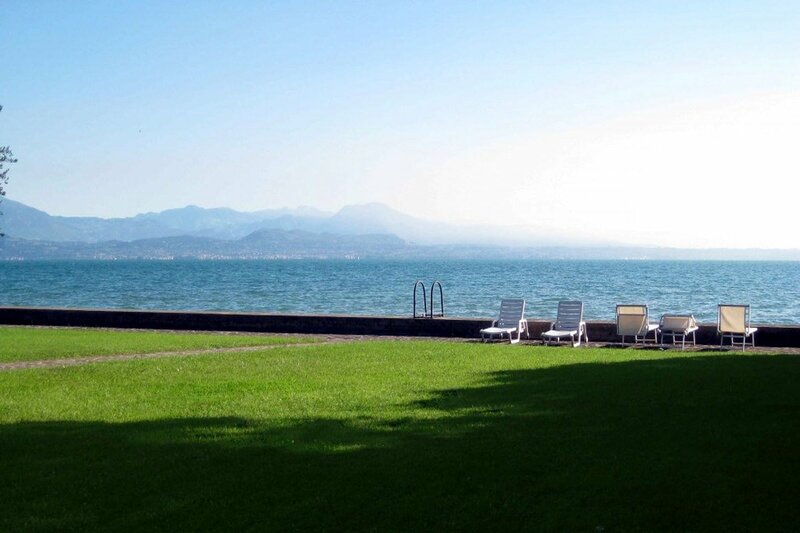 A wonderful modern luxury villa directly on the Sirmione peninsula shores. A real luxury for the few people who can afford it. 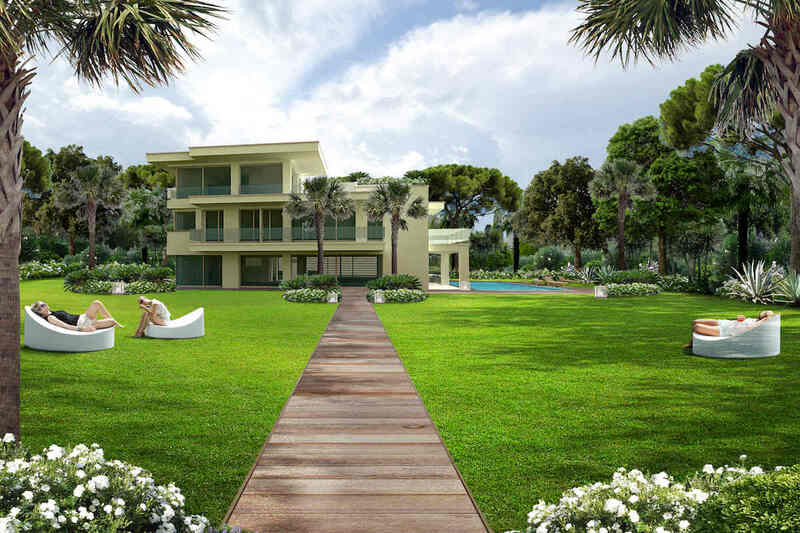 You can buy the existing villa for €4,500,000, or get it demolished and built and delivered ‘turnkey’ for €6,500,000. The waterfront villa Lake Garda will be in a unique location directly on the lake, on the peninsula of Sirmione and close to the old town, the castle and the most beautiful beaches. 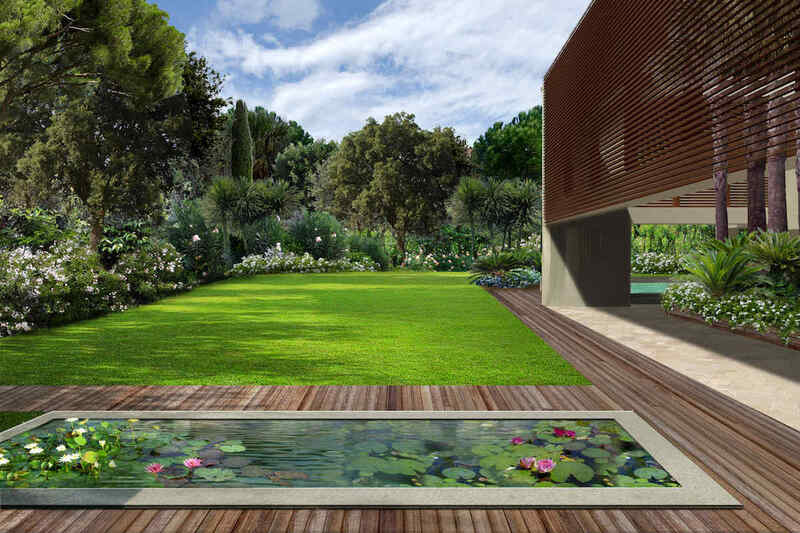 This luxury home will be embraced by a large well-kept garden, from which you can directly access Lake Garda. 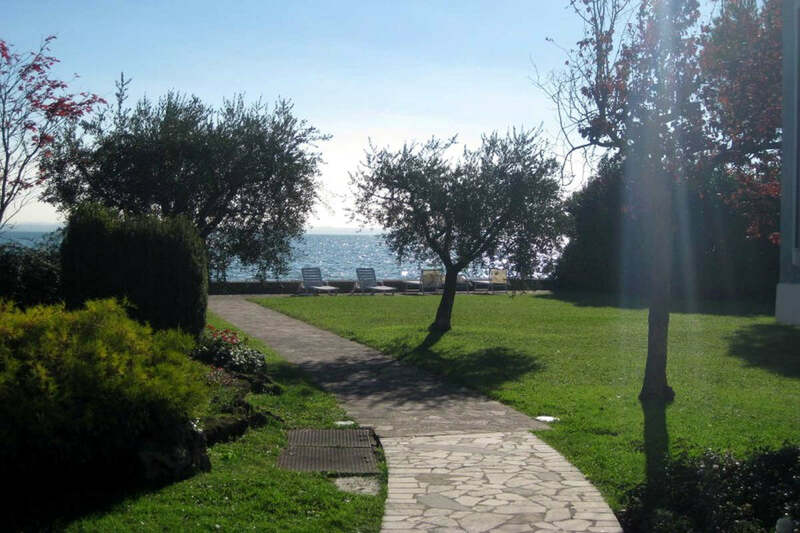 This beautiful waterfront villa Lake Garda will give you and your family lovely moments and an atmosphere of absolute relaxation, in total privacy. Contact us to arrange a viewing! 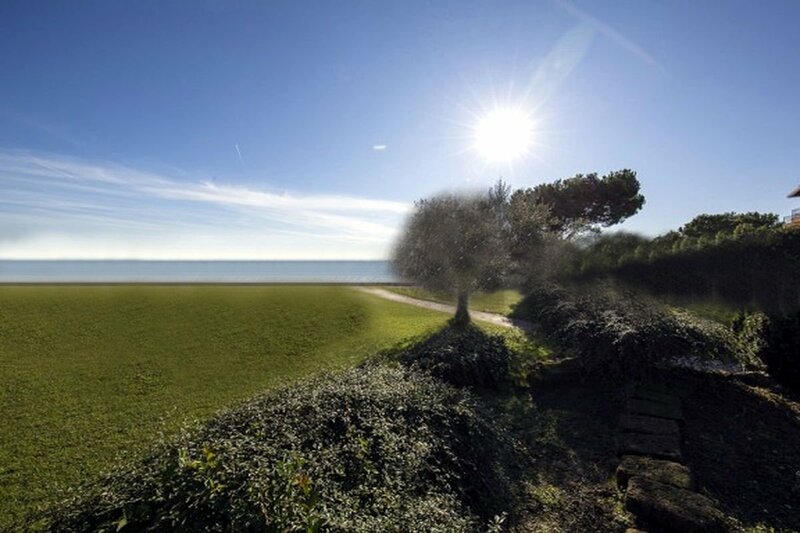 According to the approved project, the brand new waterfront villa Lake Garda will have a total surface of 617 sqm. 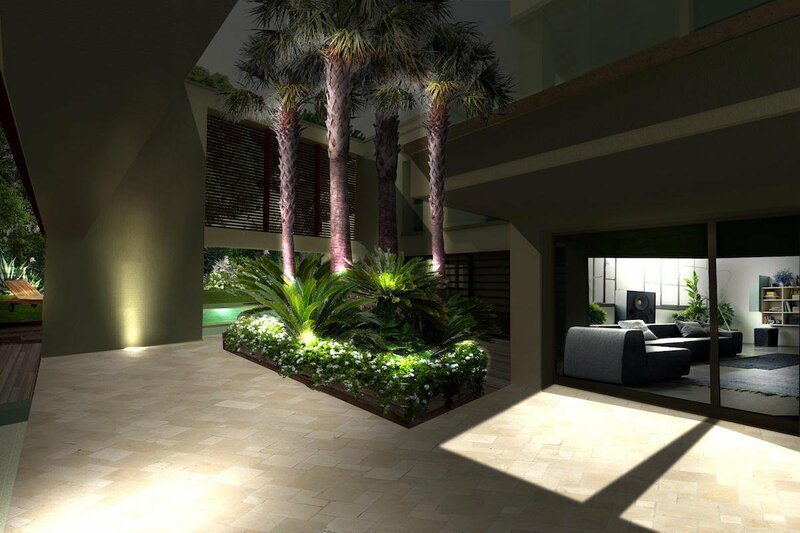 The interior of the villa will be very spacious and with modern design. The villa will extend over three levels. 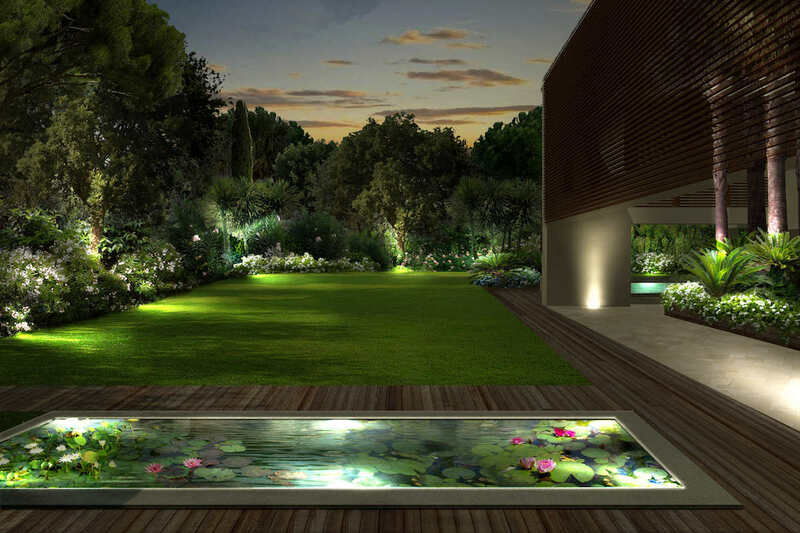 Your brand new villa will be equipped with a sophisticated and simple ‘Home Automation’ plant. This will allow you to easily control the entire home, thanks to a digital system, even remotely via your mobile phone or tablet. The very spacious outdoor area with a large well-kept garden and the lovely infinity pool will feature several sunbeams and sofas for relaxing. 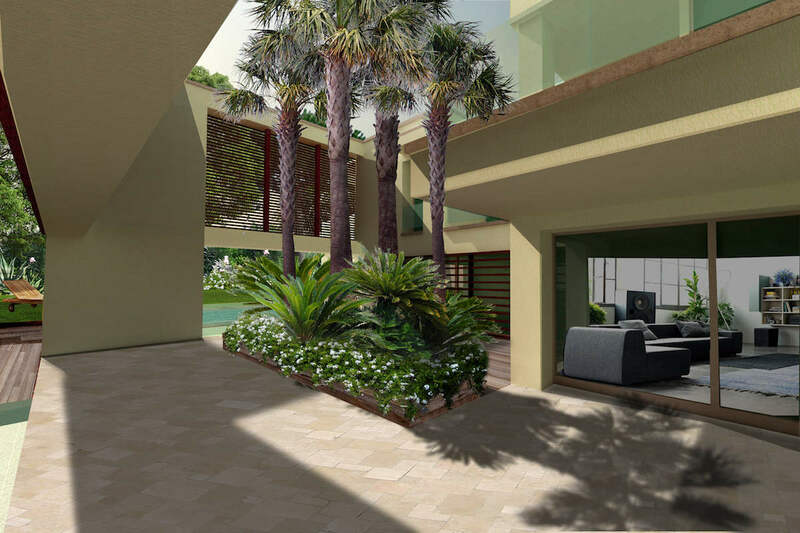 There will also be a pool-side dining area with outdoor kitchen and BBQ. 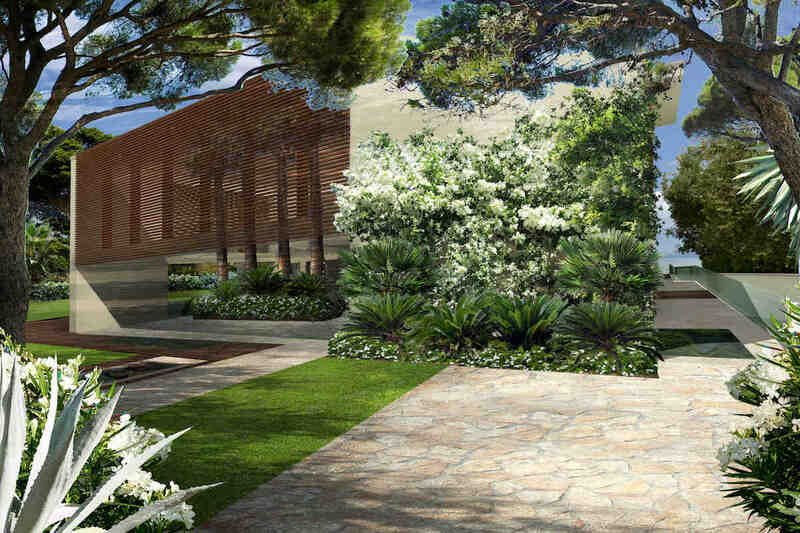 The waterfront villa Lake Garda will include an independent apartment for the Staff, located in the basement. This Staff apartment will have an independent entrance through the garage. 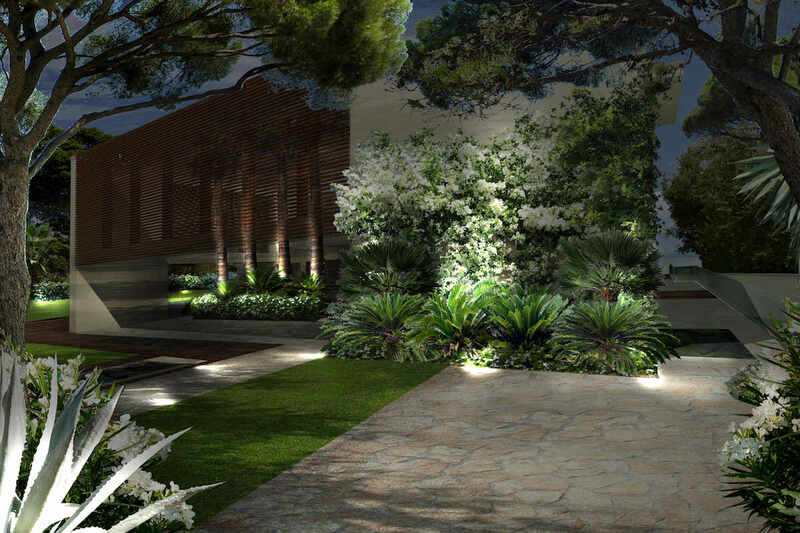 The project involves the construction of a large garage for 3 cars. In addition, there will be an outdoor parking for 4 cars, covered by a pergola. 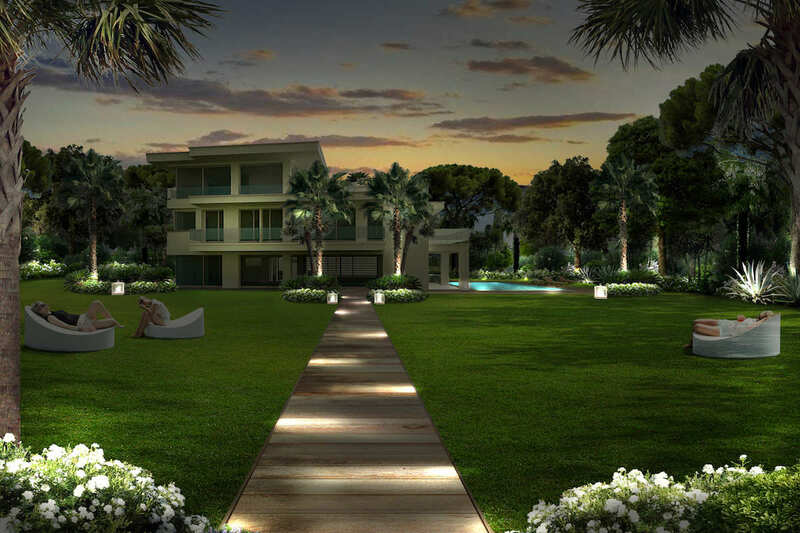 The new villa will be built and delivered ‘turnkey’ according to the approved project. You can obviously make a series of customizations according to your taste. Take advantage of this unique opportunity! Contact us for details. 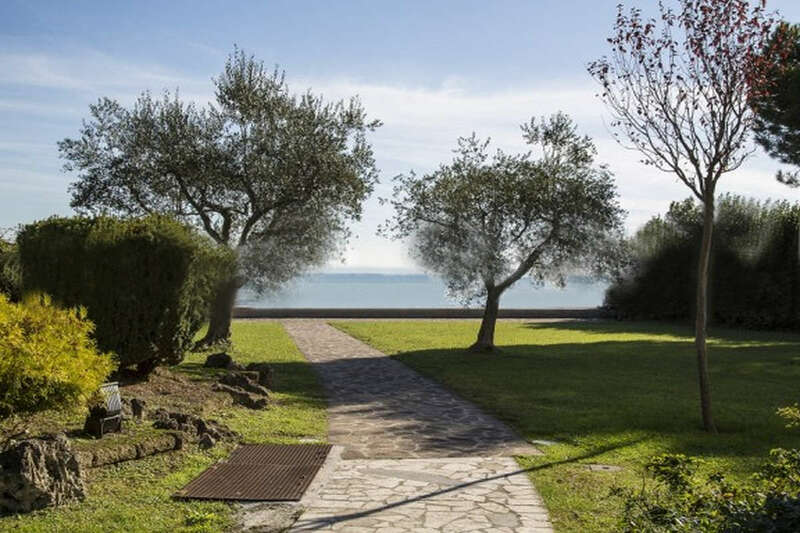 Request an appointment to see this stunning land plot and view the project and all the details of this wonderful lakefront villa Lake Garda! You can chose between two options. 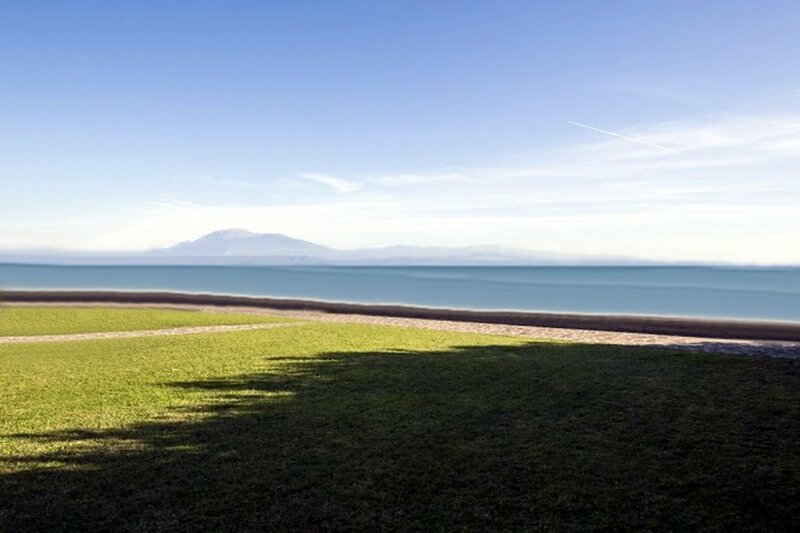 You can buy the brand new waterfront villa Lake Garda, to be constructed for you and delivered ‘turnkey’, for €6,000,000. 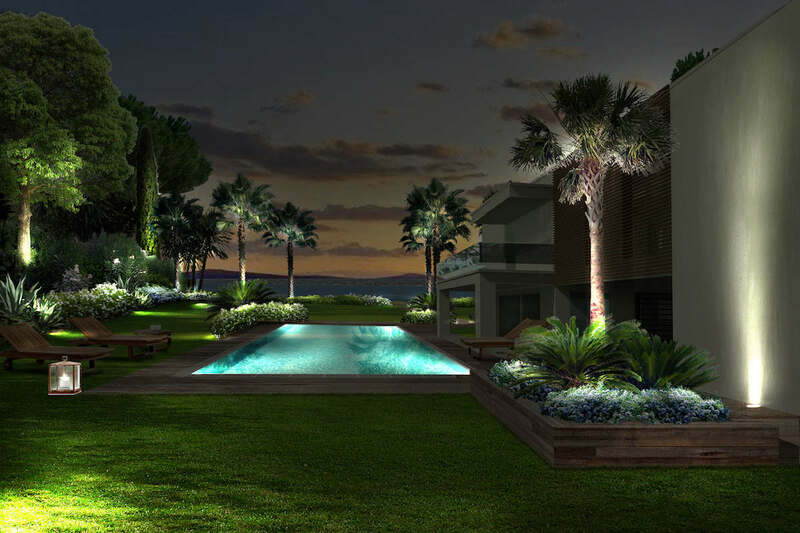 Or you can purchase the existing villa at the current status for €4,500,000. Contact us to arrange a viewing!